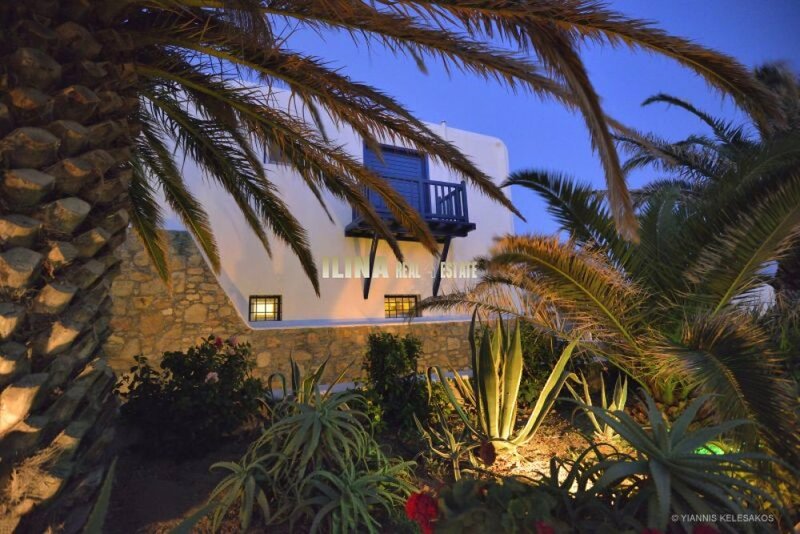 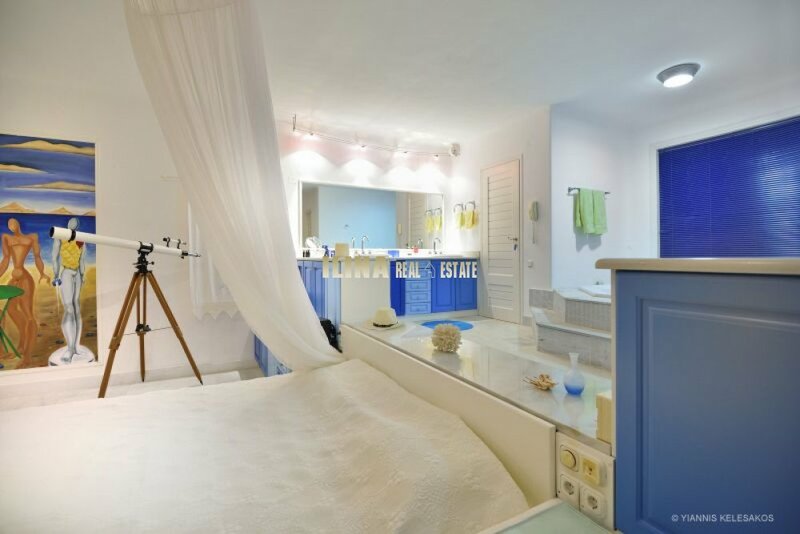 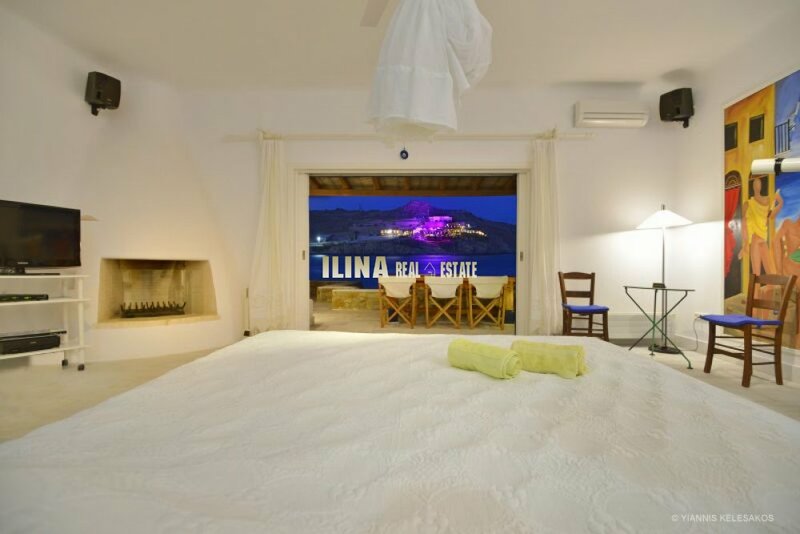 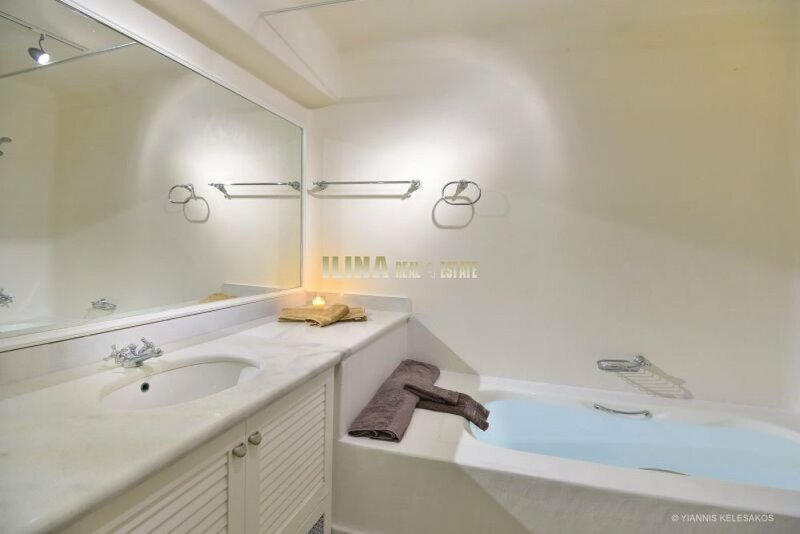 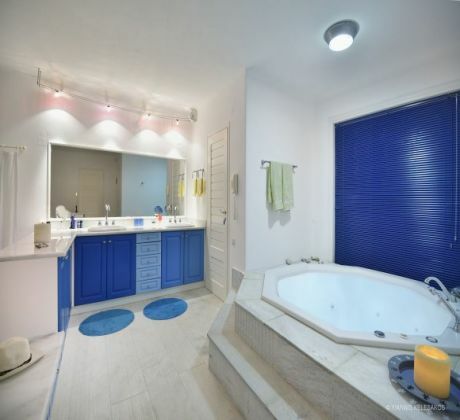 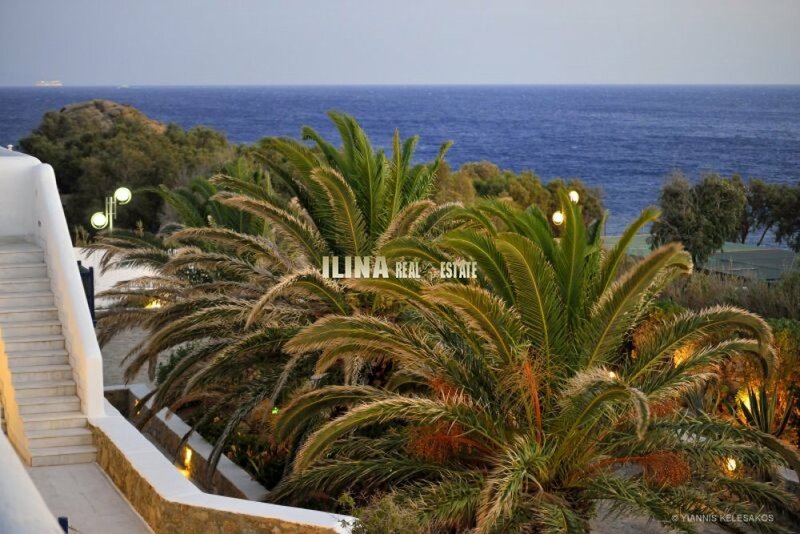 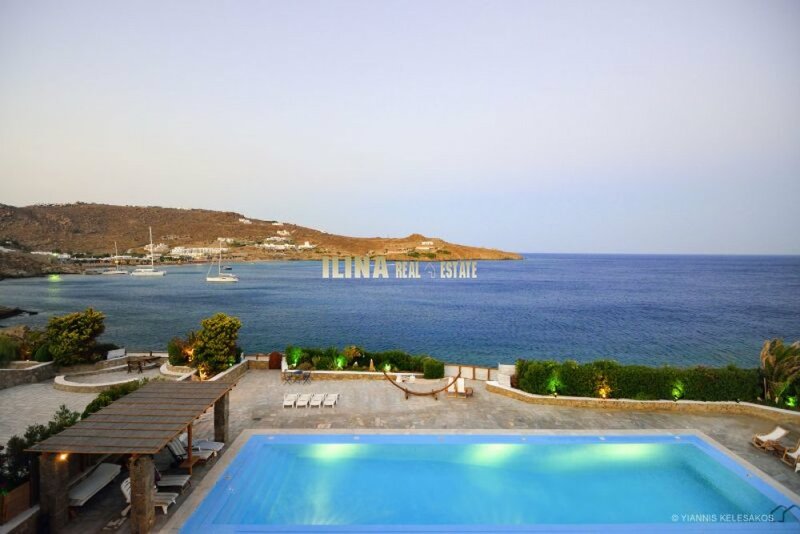 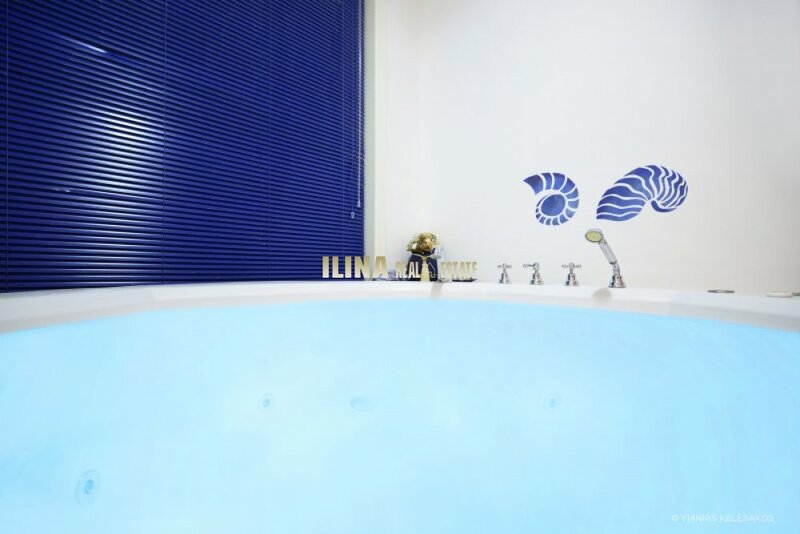 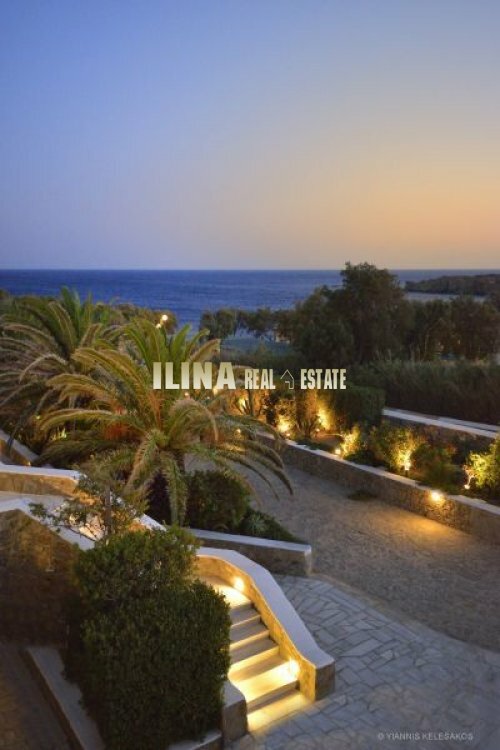 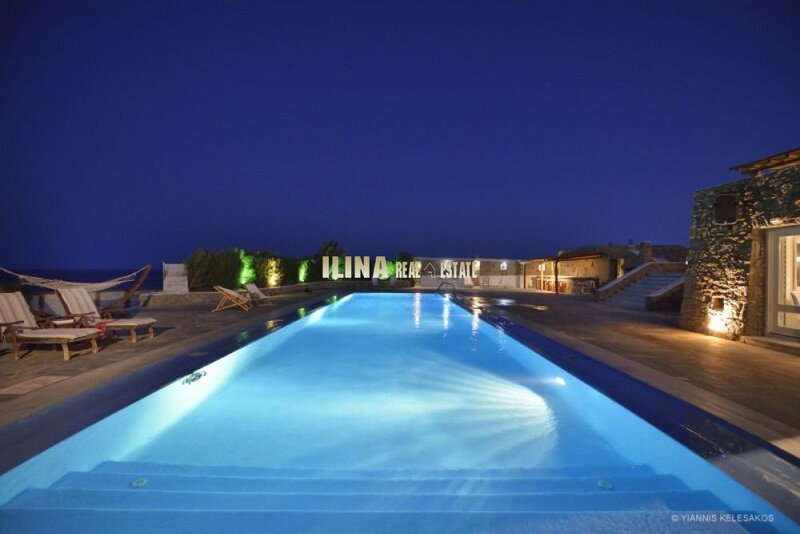 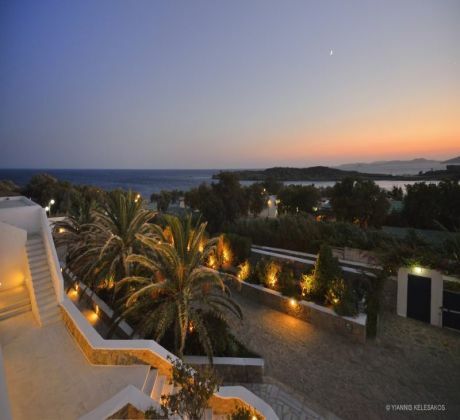 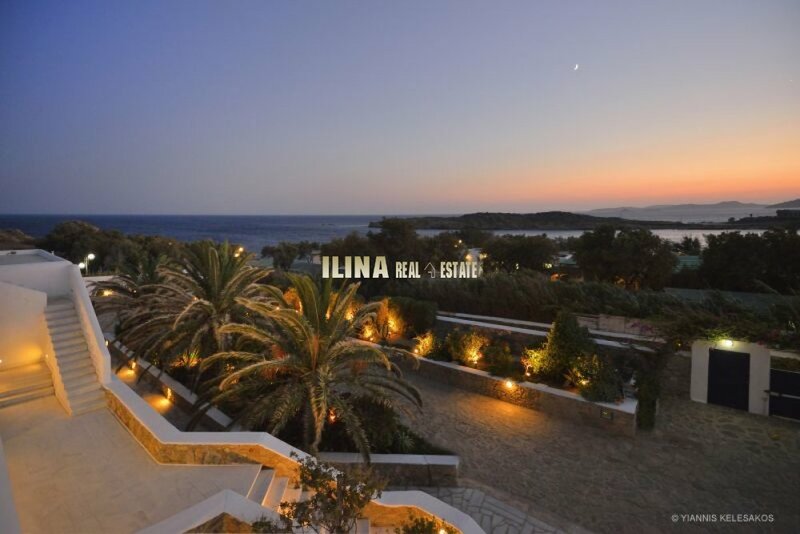 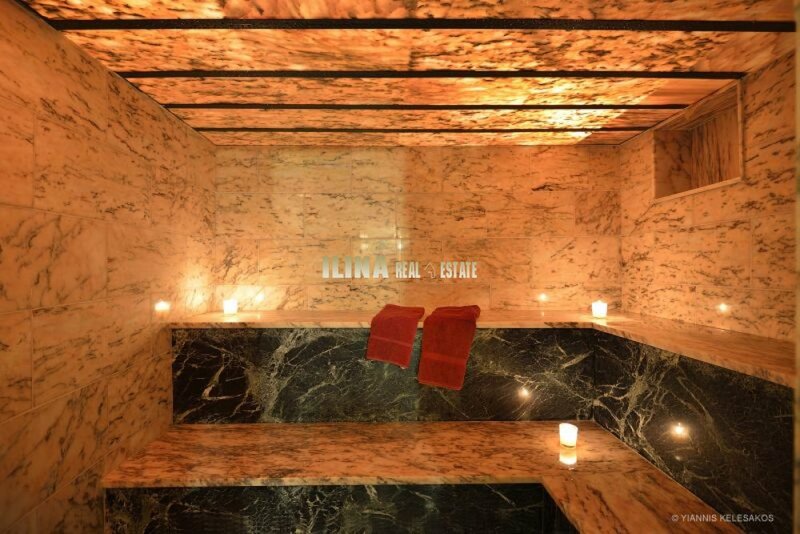 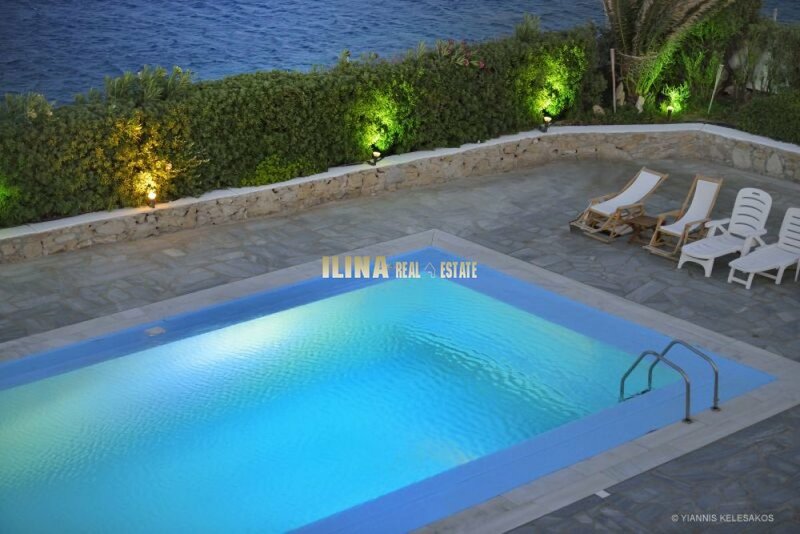 Ilina Real Estate :: Villa for rent in Mykonos 8 Bedroom with Private Pool and Sea View 900 sq. 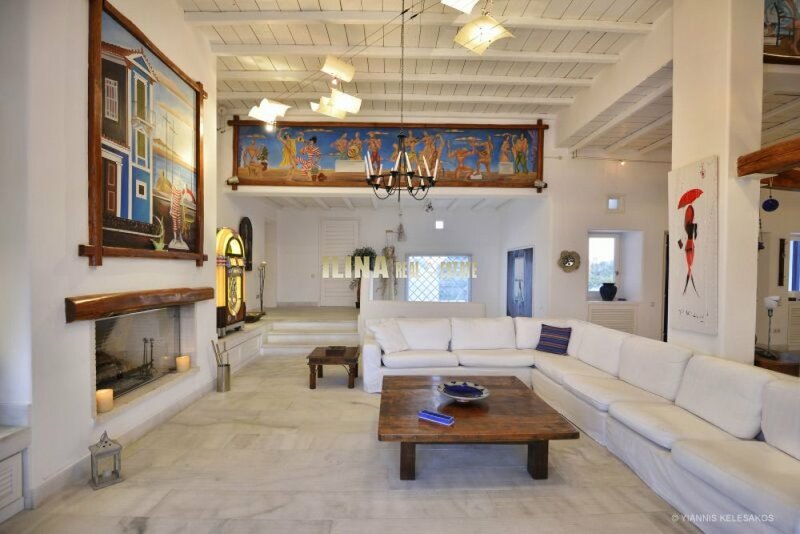 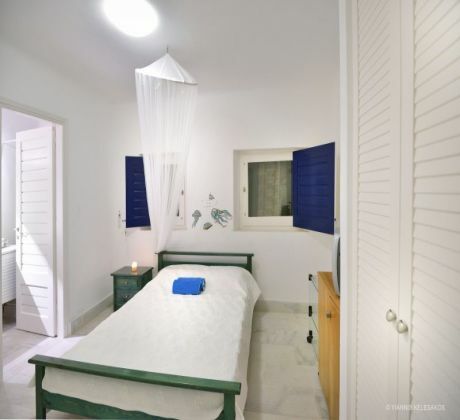 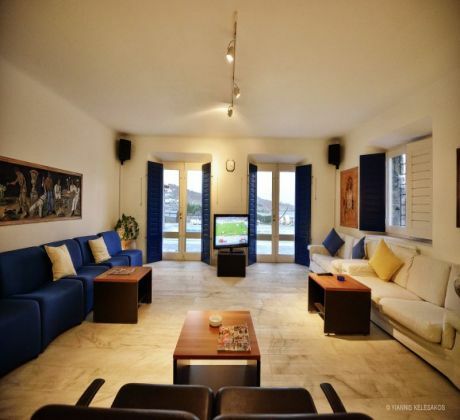 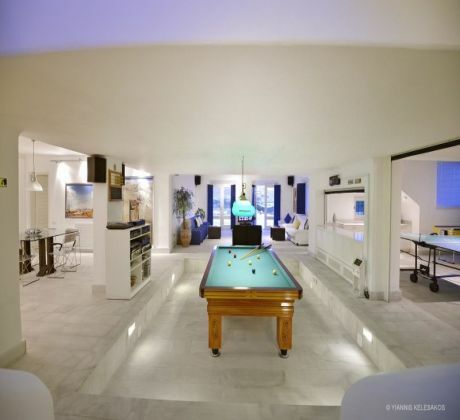 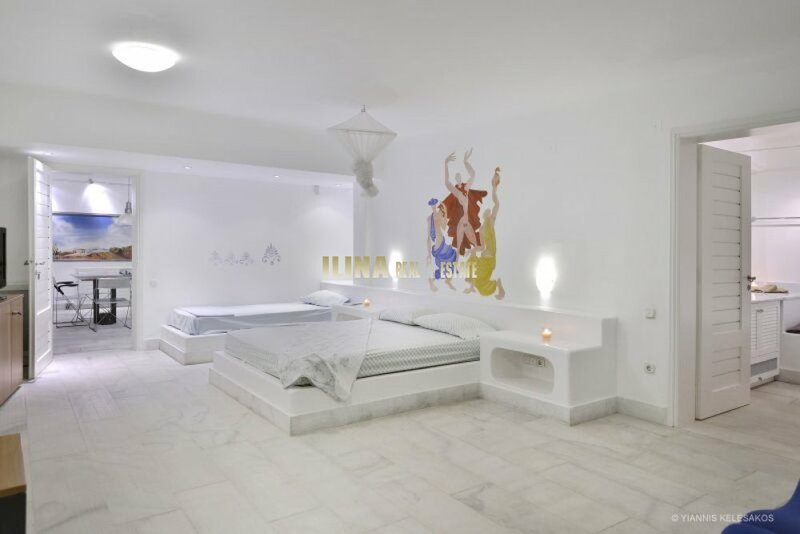 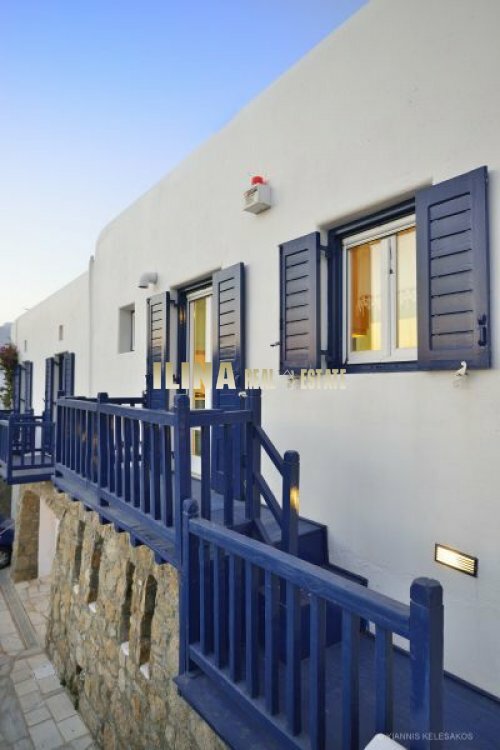 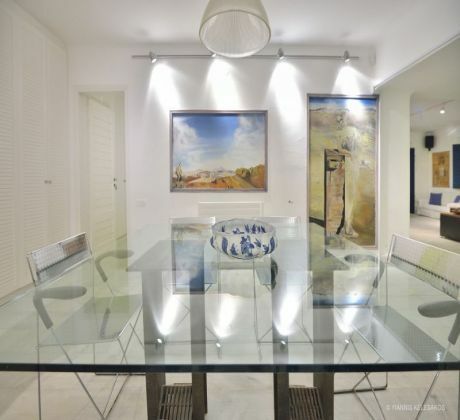 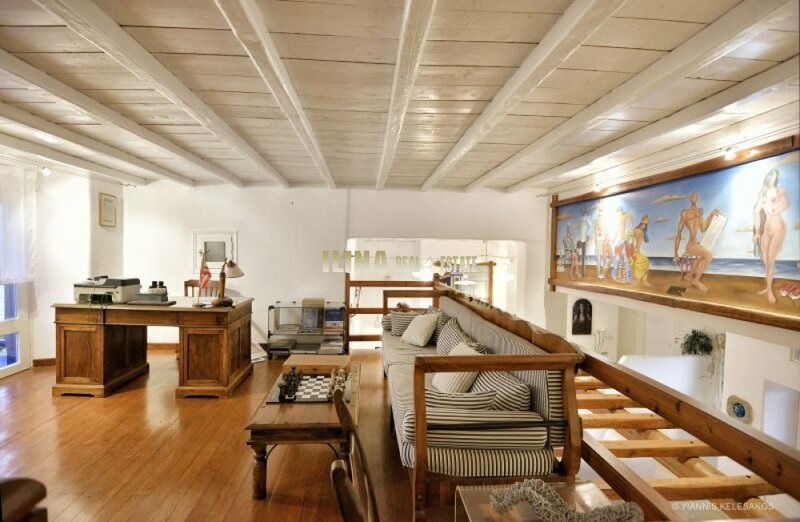 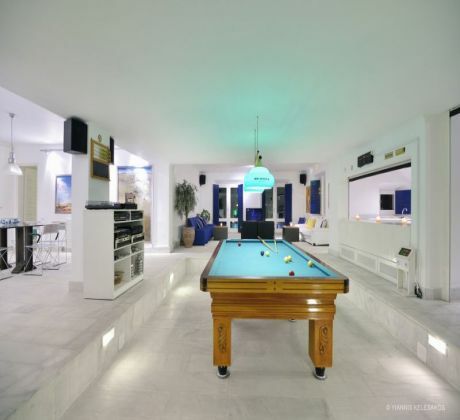 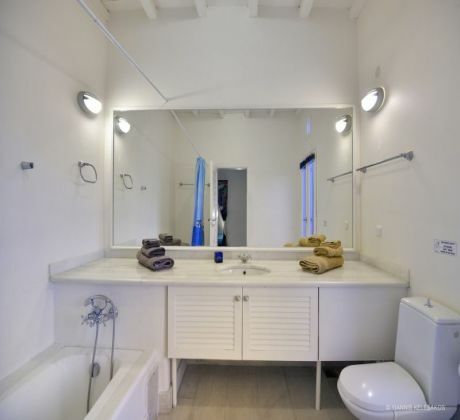 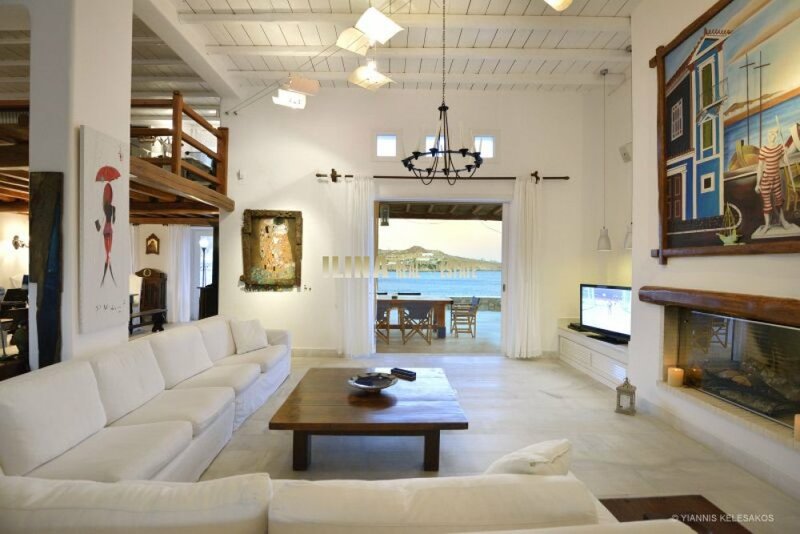 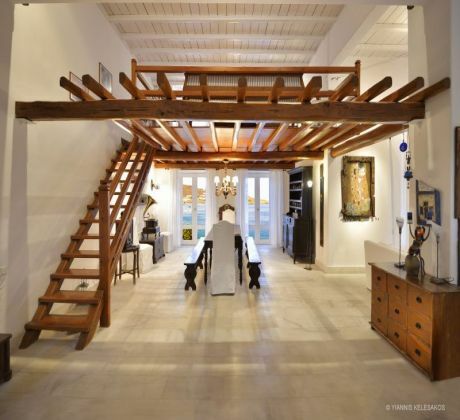 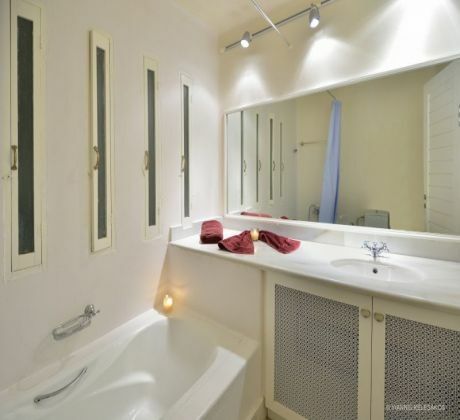 m.
ID: BMG00030-E Villa for rent in Mykonos 8 Bedroom with Private Pool and Sea View 900 sq. m.
8 Bedroom Villa with Private Pool and Sea View The VILLA is one of the 10 top villas on the island of Mykonos. 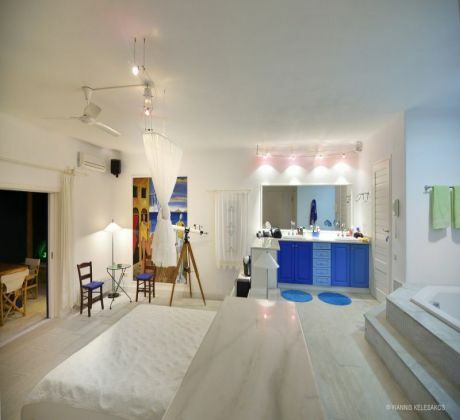 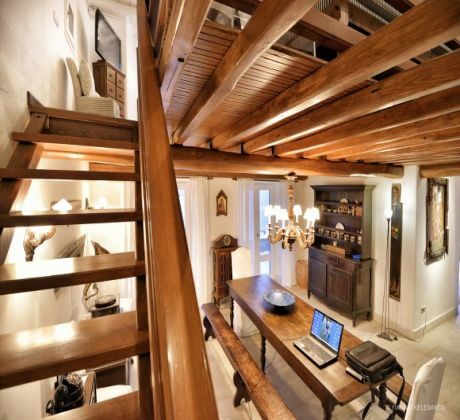 Designed & built by the award winner Greek Architect Stelios Agiostratitis, it offers its guests living space of 900 sq. 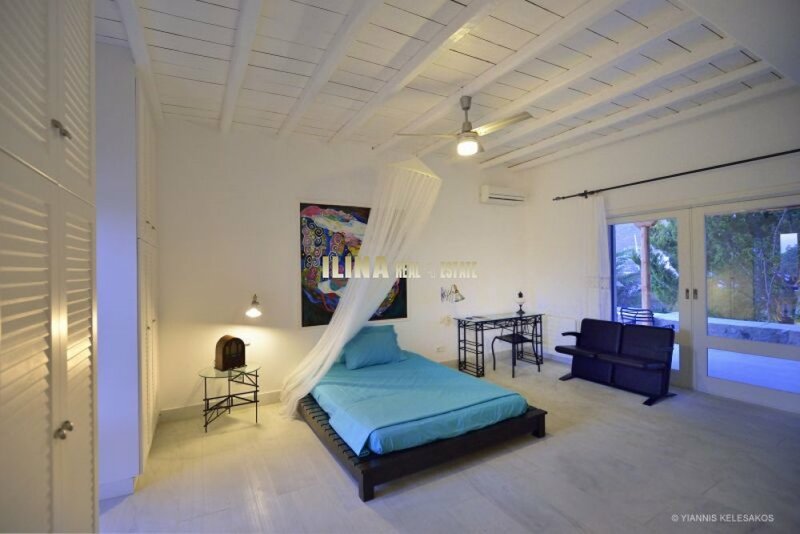 m. in a plot of 4.000 sq. 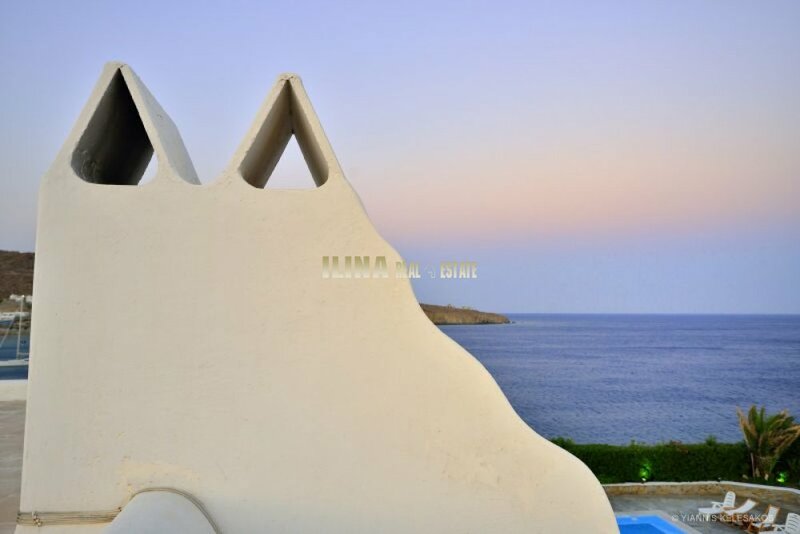 m.
The villa is built in 2 levels, with unparallel Sea view of PARADISE Beach that lies in front of the villa. 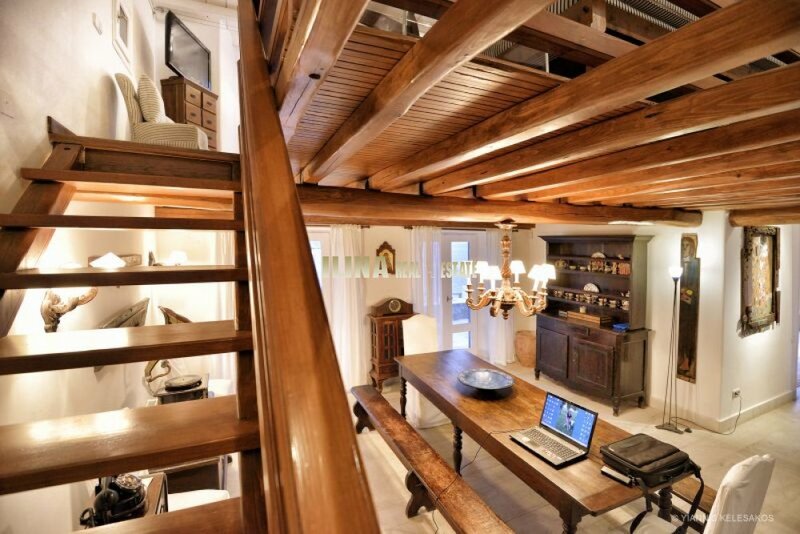 It features 8 bedrooms & it can sleep up to 20 guests with elegance & style. 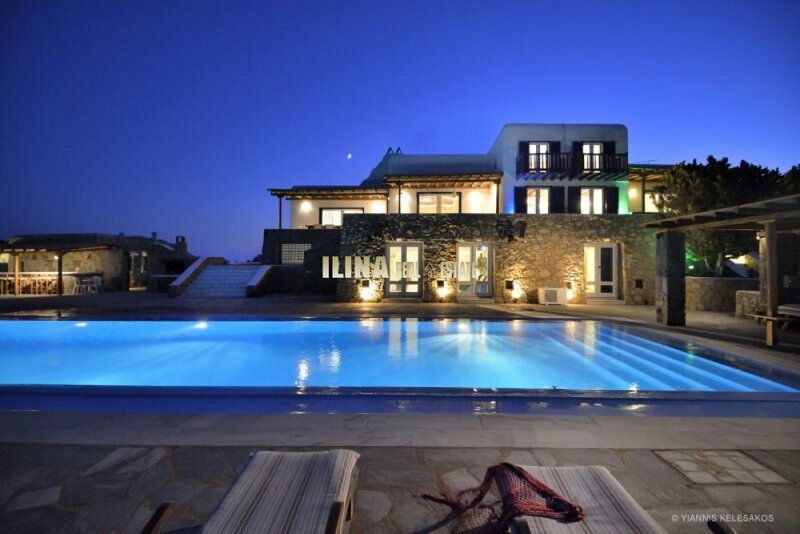 The villa also has a 100 sq. m swimming pool with both sea & fresh water, an outside fully equipped bar & a barbeque. The villa also offers its guests all the following amenities: 10 bathrooms Fully equipped kitchen Air conditioned through out Garage for up to 4 cars plus outside parking space for more than 10 cars. 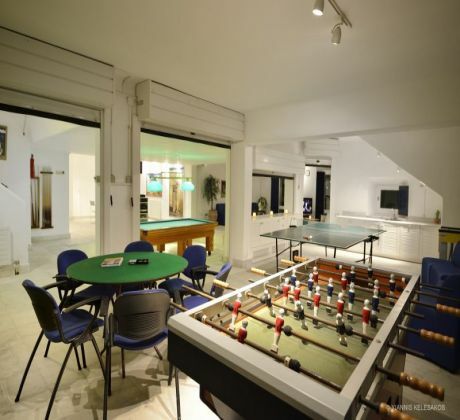 Playroom with French billard , snooker & ping pong table Fully equipped Sound system to support pool parties Washing machine & iron board Dishwasher TV in each room Satellite tv in the living room,and at the first level siting area. 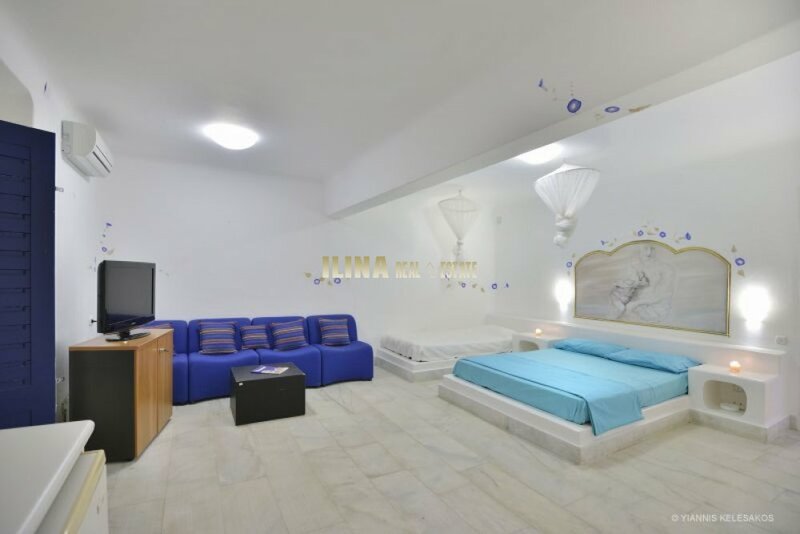 Outside lounge furniture Free wifi Internet connection throughout the villa Daily maid service Change of sheets & towels every 2 days Fully equipped office Daily breakfast service ( Service preparation is included. Provisions to be bought by the guests Dinner and lunch possibility upon request.